Most, if not all, democratic governments can be likened to private companies (at least to an extent). Within each there are certain checks and balances in place and each have at their helm, a leader. The President is essentially the CEO of the nation which he or she is elected to govern. The separate committees that are set up to oversee certain aspects of a company hold similarities to the different departments in government, such as the department of defence, agriculture, education and energy. This analogy goes further in respect of the structure of law and law making procedures. Most companies, and in turn most countries, are bound by a constitution or a supreme law, often times referred to in company law as articles of association/incorporation or a memorandum of incorporation. In both cases this document sets out rules and procedures governing the country or company to which they relate. In addition, both documents permit the making of additional laws and/or rules which are to be developed and enacted in line with their fundamental policies. This is done in order to elaborate on the core principles as established by the constitution or articles of association/incorporation. These rules or additional laws are known as by-laws. The differences between these by-laws and a constitution, in the context of the US Constitution, will be discussed in more detail below. the judicial sphere, which establishes the US supreme court and is established in terms of article 3 of the US Constitution. One of the most important parts of the US Constitution was developed by means of ten separate amendments to the original document which gave rise to what is now known as the Bill of Rights. The Bill of Rights guarantees civil rights and freedoms to an individual (e.g. freedom of speech and freedom of religion) and sets rules for the due process of law. A fundamental component of the US Constitution, or rather any constitution, is that any and all laws made subsequent to it must be in line with its founding principles. For example, should any law be passed today that limits or restricts an individual’s right to free speech, such a law would be considered unconstitutional and subsequently set aside (if it was ever to have been enacted in the first place). In the United States “laws are enacted, interpreted and enforced at the federal, state and local level.”[iii] As discussed, the process of making law is undertaken by the legislative sphere of the US government. At a federal level, either Congress or the House of Representatives can propose new laws, which are called bills. If either body proposes a bill it will need to be considered by the other body and then finally by the President who will either approve the bill, thus making it law, or veto it. 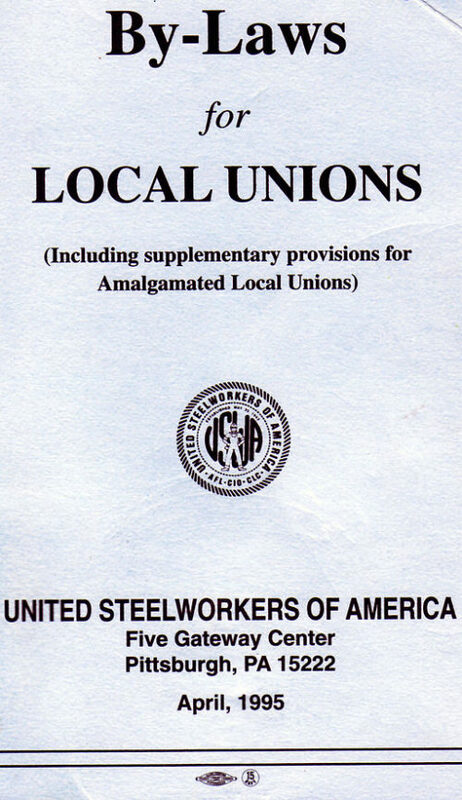 These laws are known as federal laws and are encapsulated in the United States Code. Points 8 and 9 as listed above, are what can be considered as by-laws. The key aspect of this definition, and the distinguishing characteristic of a by-law, is the fact that it is delegated. This essentially means that the ability of a local authority to enact such a law has been provided to it by a higher authority, such as a superior law or government body. In addition, by-laws relate only to a certain area of jurisdiction and are not applicable country wide. Delegated legislation is a necessary concept to ensure the proper management of the country. Although the US Constitution confers law making responsibility to Congress, Congress cannot ensure that adequate laws are enacted country-wide that apply to each and every state and municipality. As such, law making ability is delegated to local municipalities, with the caveat that such laws are in line with all superior laws that have previously been put in place. Notwithstanding its categorization as “delegated” legislation, by-laws are enforceable in local courts and can have associated penalties or criminal sanctions if breached. The differences between the US constitution and a by-law enacted by a local municipality or council are not extensive. Both form part of the enforceable laws of the United States of America and each have an important role to play in the governance of the country. The fundamental difference between the two is the fact that the US Constitution is the supreme law of the land which subsequently impacts on the types of laws that can and cannot be enacted. As such, any federal law, federal regulation, State constitution, State regulation or by-law that is established must ensure compatibility with the US Constitution. 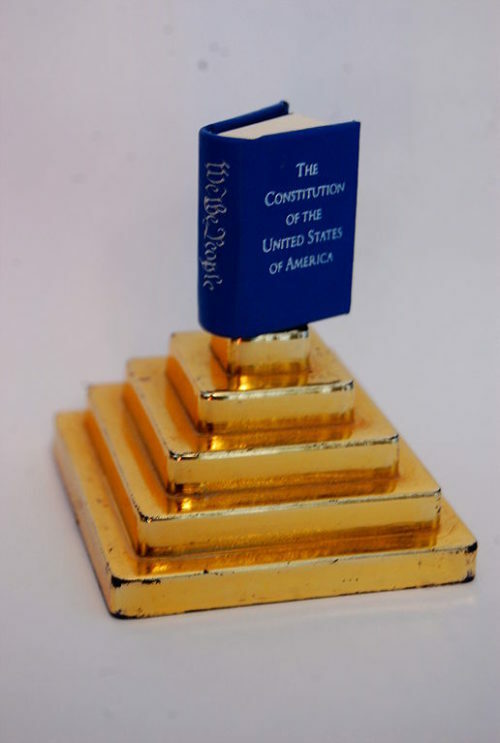 The US Constitution establishes the core principles applicable to all people in the United States, these principles are broad and often open to interpretation. As one moves down the hierarchy of law, more and more detail is added to laws which have their foundation in the US Constitution and which relate to a whole host of matters not necessarily found within the US Constitution itself. In tying up the analogy that introduced this topic, both private companies and democratic constitutionally led countries require a document that sets the foundation of that country or company, a document that establishes it, a constitution. It is then after the enactment of additional laws or rules in line with this constitution, that such a country, or company, can apply the principles established in that constitution in every day circumstances. This creates a hierarchical structure of law, which then extends to the enactment of by-laws which set out the form, manner and procedure of jurisdictional governance. Cullen Gordge. "Difference Between Constitution and by laws." DifferenceBetween.net. October 25, 2018 < http://www.differencebetween.net/miscellaneous/legal-miscellaneous/the-difference-between-by-laws-and-the-constitution/ >.